For 2007, SCD will be included in the Directory of Traditional Artists for the Blue Ridge National Heritage Area, an honor accorded only a few artists in each county. 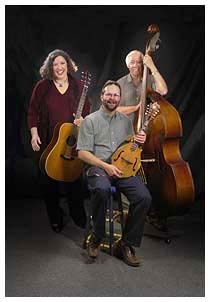 The trio is on the Touring Artists Roster of the North Carolina Arts Council. Click here for a high-resolution version of this photo suitable for use by TV and print publishers. This photo is expressly released for all promotional uses. this bio in Word format. Since 1989, Strictly Clean and Decent has performed in Ireland eight times. They have appeared five times on the Cobh International Folk Music and Dance Festival, the Bluegrass and Olde Tyme Music Festival in Cork, and twice at the Irish Bluegrass Music Association's festival in Athy as well as at venues throughout the country. However, the trio performs primarily in North Carolina in places as varied as the Biltmore House, Duke Gardens, the NC Museum of Natural History, the NC Arboretum in Asheville, at the Sanford Pottery Festival, and for Winterfest in Blowing Rock. They are regular presenters on the Mountainhome Music Concert series in Boone. 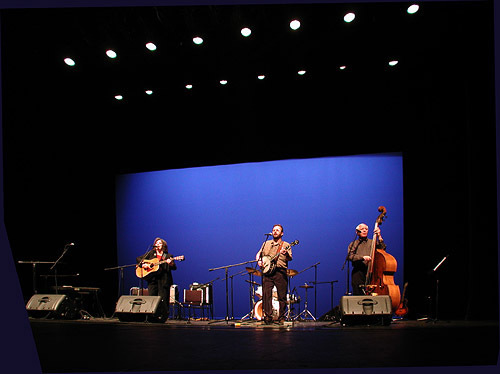 Additionally, they have opened for noted performers such as Doc Watson, Ralph Stanley, J.D. Crowe, Vassar Clements, Tim O’Brien, Tony Rice, Lee Greenwood, John Cowan, Ricky Skaggs, and Jerry Clower. Strictly Clean and Decent received an Emerging Artist Grant from the Caldwell Arts Council to produce a recording entitled Boomer Breakdown. Of this project, Bluegrass Unlimited says the group is "precise and well-rehearsed, with a full sound for a trio." The trio’s third CD, Crazy Quilt, was released in March of 2003. Since 1998, Strictly Clean and Decent has become active in recording and presenting the great number of traditional musicians in Caldwell County with a long-range goal of recording one hundred musicians in ten years. To date, with the help of Grassroots Arts Project grants, about 80 musicians have been recorded, with backing by the trio, on seven CDs: It Must Be Something in the Water (2001), I Do Re Mi (2002), Caldwell Roots and Branches (2003), Playin’ Hooky (2004), Good Ole Boys Like Me (2005), The Lights of Home (2006), and the seventh showcase CD, Rear View Mirror, which was released in April 2007. Strictly Clean and Decent is included in the Touring Artist Directory produced by the North Carolina Arts Council. Back to SCD's Home Page.